When I started switching over to natural cleaning products more than two years ago, Seventh Generation was one of the first green companies I was introduced to. Over these years I have used their laundry detergent, dryer sheets, toilet cleaner, automatic dishwasher detergent and more. I have always been more than pleased with everything of theirs that I have tried. Now in my day to day cleaning, there are only two things that skeeve me enough to disinfect: raw chicken and toilets. Normally after handling raw chicken, I'll use a white vinegar mixture to clean my counter, but my husband HATES the smell of it. 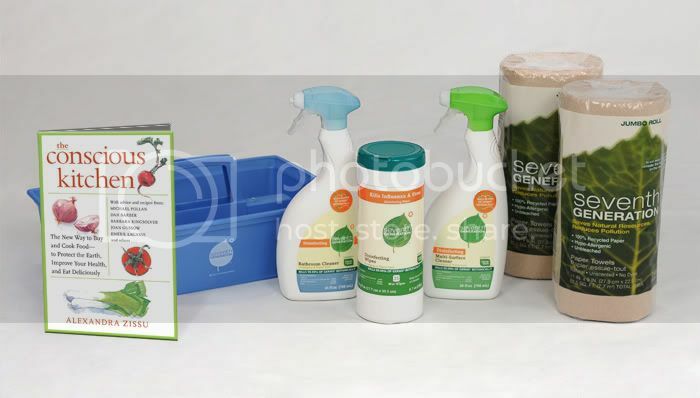 Well Seventh Generation recently added a new line of botanical disinfecting cleaners which includes a multi-surface cleaning spray, bathroom cleaning spray and wipes. The active ingredient in these is Thymol which is a component of the herb Thyme. These cleaners may be used on hard surfaces such as counter tops and kill 99.99% of household germs, naturally. Kills over 99.99% of household germs, specifically: Inﬂuenza A, H1N1, Staphylococcus aureus, Salmonella enterica, Pseudomonas aeruginosa and Escherichia coli on hard, nonporous surfaces. Seventh Generation and My Blog Spark sent me a disinfecting kit which included this entire line to try out. As I mentioned earlier one of the things that truly grosses me out are toilets. Just thinking about the day when all four of my boys are teenagers makes me shudder. So the first thing I fell in love with are the Disinfecting Wipes . When I clean any other room in my house I like to use microfiber towels because I can throw them in the wash. But I just cannot bring myself to use them in the bathroom. Bleh. I much prefer wipes that I can toss right into the garbage. These wipes come in an easy to use tub and I like the feel of them. I have used others that were way too thin. So I am able to quickly grab one of these wipes and clean all around the toilets with them. For the rest of the bathroom, like the counter, I can use the Disinfecting Bathroom Cleaner with some of the Seventh generation paper towels.The combination of the two works well and I can leave knowing my bathroom is germ free. The room I use the Disinfecting Multi-Surface Cleaner in the most is the kitchen. I am not one to go around disinfecting every single thing in my house - a few germs around is good to build up your immune system (or at least I think so). But as I mentioned, raw chicken skeeves me and is one of those things that I just do not take chances with. I am totally paranoid about salmonella poisoning. I make chicken at least once a week so it is great to now have a disinfecting cleaner I can use to quickly spray my counters with. Now for this product to kill the germs, you spray it on then let air dry. I also use it to clean the table after meals and since I really don't need it to disinfect there, I spray on and then wipe off with one of my microfiber towels. A nice bonus for us is now there is no more vinegar smell in the kitchen, which makes my hubby happy. In fact, all of these cleaners have a mild, pleasant smell - kind of like herbs. And that makes me happy because I absolutely hate cleaners that have strong obnoxious scents. Once again Seventh Generation has come out with a cleaner that is not only all natural but it gets the job done and done well. Add this to the long list of Seventh Generation products that I love. One (1) winner will receive a Seventh Generation Disinfecting Cleaning Kit. The kit includes a disinfecting multi-surface cleaner, disinfecting bathroom cleaner, disinfecting wipes, a copy of The Conscious Kitchen, a cleaning caddy made from recycled plastic and two rolls of 100% recycled, unbleached paper towels. Tell me how you keep your family safe from chemicals or tell me what is the best thing you’ve done for the environment this year. - Become a fan of Seventh Generation on Facebook. This giveaway is open to US Residents 18+ only and will end on Thursday, May 13 at 11:59pm EST. One winner will be chosen at random using Random.org and will be posted on the Winner's Announcement Page. Winner has 48 hours to claim his/her prize otherwise a new winner will be picked. You must leave your e-mail address in all of your comment(s) so I can contact you. I will not share your e-mail address with anyone, it will strictly be used to notify you if you win. Good luck! Please note that the opinions and views expressed here are my own and based on my personal experience with the products. You may encounter a different experience with this than I did. Seventh Generation and My Blog Spark sent me a Seventh Generation Disinfecting Kit to review and are also providing one for the giveaway. Some of the product links contained in this review use my Amazon affiliate account. Should you happen to purchase an item through one of these links, I may make a few cents. I invested in a bike and now bike to many local errands. Carol P Dziuba fan of Green Mama's Pad on Facebook. Carol P Dziuba fan of Seventh Generation on Facebook. We changed out our lightbulbs to be more energy efficient. I follow both and tweeted. we stopped buying and using paper plates! We only buy non-toxic cleaners and all other chemicals are locked in a cabinet downstairs. I feel like I do a lot of little things for the environment, but one thing that sticks out lately is picking up trash on my daily walks. I live in Alaska and since most of the snow has melted where I live, there is so much trash everywhere that is now very visible since the snow is melted. Every little bit makes a different, so I am doing my best to do my part. 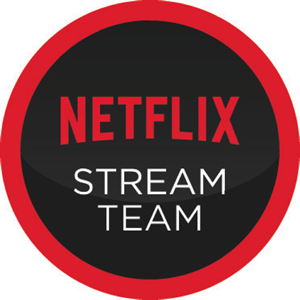 I am a subscriber to your feed! I am a facebook fan of Seventh Generation! iI HAVE STARTED RCYCLING PAPERS, PLASTIC AND GLASS. WE USE THE SPIRAL BULBS INSTEAD OF THE REGULAR ONES. I USE VINEGAR FOR CLEANING. IM STILL LEARNING WHATS BEST TO USE. I am recycling more things than I used to. we are tying to switch to non-toxic cleaners and we have also started using reusable bags instead of the store's plastic bags. I ride my harley to save gas, use only green chemicals and I buy organic when possible. I also recycle and I reuse the same cup everyday for refills at my college. We started composting this spring. The best thing we have done for the environment this year is that we began gardening organically, using compost from kitchen peelings/scraps, and yard trimmings. No chemicals are used on our yard or garden. I try to use organic cleaning products when I clean. The best thing I've done for the environment this year is to expand the storage capacity of my rainwater harvesting system to 3400 gallons! And, if I use some of that water to water my fruit trees and garden between storms, I can collect even more. I then use that during the summer for my fruit trees and garden, to save water. we use cloth diapers and wipes on our little girl! We use vinegar for most cleaning, but I'd love to try the Seventh Generation Bathroom Cleaner! I lost my job, so I'm not out driving around everyday anymore. i've been using a washable tote bag for grocery shopping, and it has definately cut down on the amount of plastic bags we have here at home! thank you for the chance! We purchased a full share from a local organically certified farm. I'm hoping to make baby food this year from our locally grown organic produce. I'm a fan of 7th Generation on Facebook. I started using reusable grocery bags and reusable bottles. Wow....What have I not done this year. This was the year for "green" changes. * Working on a Compost! fan of Seventh Generation on Facebook. The best thing we've done is upped the number of products that we recycle. We use some caustic chemicals to clean however we use hot water and natural cleaners first to minimize environmental impact. In addition, we compost, shop with cloth bags and recycle. We use natural cleaners like vinegar and baking soda. The best think I have done for the environment this year is to participate in a local beach clean up day. I am now following you with google friend connect. I follow you and SeventhGen on twitter(terri142)and tweeted! I am a facebook fan of Green Mama's Pad! To help keep my family safe from chemicals I use natural, homemade cleaning products. The best thing I’ve done for the environment this year is to stop using paper towels. The best thing that I have done this year is start a recycling program at work. The best thing I've done for the environment this year is to not shop! LOL. By that I mean that I've made a commitment to not consume so much, to buy more of what I need, and less of what I want, and to buy used as much as possible. I planted a vegetable garden this year! I just dont bring them into the house so that keeps my family safe. I've been using Seventh Generation products for at least 10 years now and I am growing an organic vegetable and herb garden. Thanks. This year for Earth Day we planted new trees in neighborhood parks and also purchased a rain barrel for watering our house plants and garden. I am a fan of Seventh Generation via Facebook as Jill Myrick. We have always recycled everything possible! The best thing I've done for the planet this year is to switch to mostly organic food and to cut down my dairy intake. Oh, and walk to the farmers' market! I follow you via Google Friend Connect (Jennifer Mo). We dont use paper napkins or paper towels, and always use our reusable bags!! We have recycled and upgraded to energy efficient appliances. I made a more dedicated effort to carry reusable bags in my purse to avoid collecting more grocery bags. We use natural cleaners...and recycle everything! I like to clean with baking soda & vinegar. we have stopped using plastic bags&use products like this! We have our own veggie garden! The best thing I've done for the environment this year is switch my traditional light bulbs for CFL ones. I became a fan of Seventh Generation on Facebook. I grow my own veggies. I am using canvas bags whenever I shop. I follow you and 7th Generation on twitter and I tweeted.